The City of Ojai is situated in the Ojai Valley north of Ventura and east of Santa Barbara. It is approximately 15 miles inland from the Pacific ocean. The Ojai Valley also encompasses the unincorporated towns of Casitas Springs, Oak View, Mira Monte and Meiners Oaks. It is a popular retirement community and the major industry is agriculture. 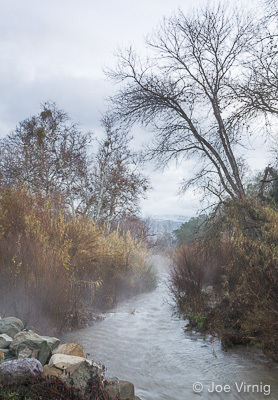 The excellent climate and natural beauty of Ojai, along with the area's hot mineral springs, have provided Ojai with a reputation as a place to rejuvenate the mind and body. There are several world-renowned spas and resorts in the area and there is widespread emphasis on wellness and good health among the residents of the area. 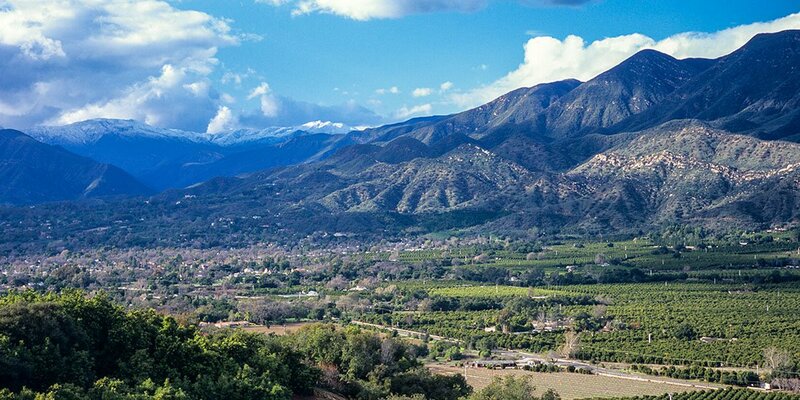 The Ojai Valley has peaceful country views and spectacular mountain ranges. Its east-west mountain range features a "Pink Moment" that occurs as the sun is setting and the fading sunlight creates a brilliant shade of pink for several minutes on the Topatopa Bluffs at the east end of the Ojai Valley. Horseback riding and hiking are popular pastimes in this area of graceful oaks and scenic waterfalls. The architecture of Ojai owes much to its Spanish influence. The downtown arcade has a Spanish-style facade and there is a mission-style arch and pergola at the downtown park bearing the name of Edward D. Libbey, a wealthy glass manufacturer who set out to make Ojai into "a dream city of soft harmonies, smooth flowing line and warm colors." Dream city or not, Ojai does have a wide choice of housing styles to suit almost any taste. Ojai is and has always been, an artistic community, attracting writers, photographers, painters, musicians, composers, sculptors, potters, weavers, and jewelry makers. The Ojai Center for the Arts is the oldest continually operating arts center in California. Painting, poetry, theater, dance, and music classes and workshops are held at the center throughout the year and the center also produces art shows, theater productions, poetry festivals, crafts fairs and dances. Those who consider shopping an art will be pleased with Ojai's myriad of shops, bookstores and galleries along with many indoor-outdoor restaurants and coffeehouses. 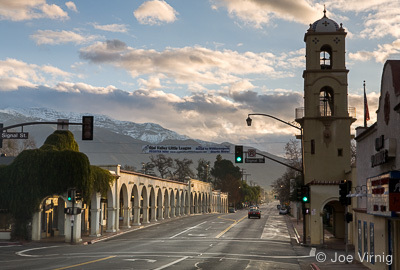 With a population of 7,461 (2010), Ojai is the least populated incorporated city in Ventura County. Ojai real estate choices vary. The surrounding communities of Oak View and Meiners Oaks have everything from early California bungalows to magnificent estates. 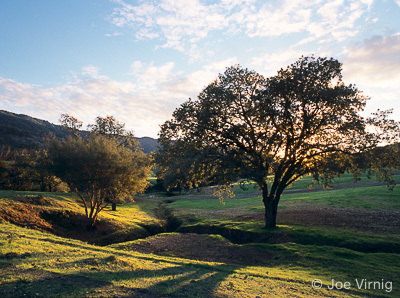 If you are searching for a "Gentleman's Ranch", consider the East End of Ojai. Around the downtown area and in the Arbolada, there are sumptuous estates, California Craftsman styles and many of the homes around the area that have magnificent views of the mountains and valley.